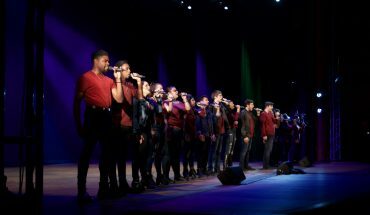 On Nov. 19, Mason’s music organizations, the American Choral Directors Association, International Tuba Euphonium Association, Kappa Kappa Psi, National Association for Music Education, Phi Mu Alpha, and Sigma Alpha Iota organized a Hurricane Relief Concert to raise money for those affected by the multiple hurricanes earlier this year. The concert raised $820 in total and all proceeds were donated to Habitat for Humanity. The group decided on Habitat for Humanity because the international organization clearly states where the money donated goes. “We wanted to find an organization that would give the money to all the hurricane causes we were looking for so Puerto Rico, the Caribbean’s, Harvey, and Irma. We wanted to find one that would give money to all four of those and Habitat for Humanity is an international organization, so we can give it to all those causes,” said Helen Landers, the music chair of Kappa Kappa Psi. Hurricanes Harvey and Irma caused 200 billion dollars in damages in the continental United States alone, according to ABC News. In Puerto Rico, Irma caused 1 billion dollars in damages, according to bloomberg with Hurricane Maria adding to those damages. 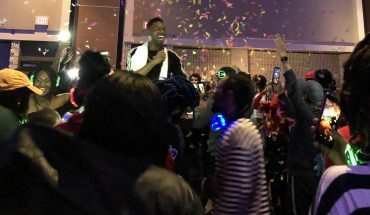 “The biggest goal is to raise money for the effort, but I think it’s also an outreach for the community so that we can share our talents,” said Landers. The concert was the first time in recent years that all the music organizations collaborated and come together. 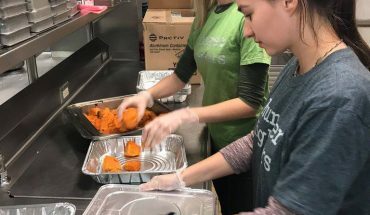 “We saw an issue and we saw a bunch of other efforts and people coming together to raise money for it and we thought that this was a great opportunity for us to use our talents and our organizations to help the community. We saw an opportunity to use what we have in the situation that we’re in to help,” said Landers.